In a world characterized by population growth, shifting patterns of consumption and changing consumer taste, the pressure is on for beverage producers to respond with products that meet the new demands. 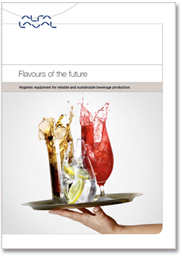 For beverage producer USHydrations, superior quality and service are key for the multiple global brands they serve. One of the challenges as a contract manufacturer for beverages is that their customers demand flexibility of running both large-scale and micro-scale in the batching and mixing process. Watch the video above to learn how USHydration overcome these challenges with Alfa Laval technology, eliminate human errors and ensure superior quality in their products.